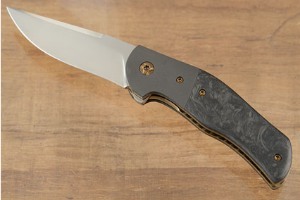 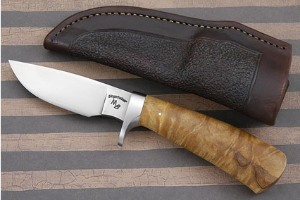 Bruce Bingenheimer, known to the knifemaking community as “Bing,” has been forging knives since 2006, having been introduced to the forge by Mastersmith Ed Caffrey that same year. 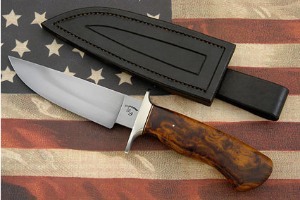 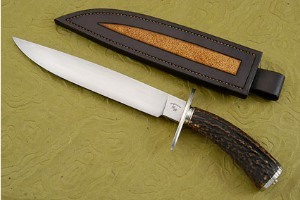 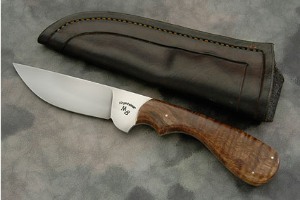 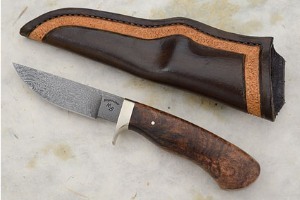 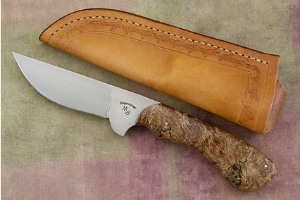 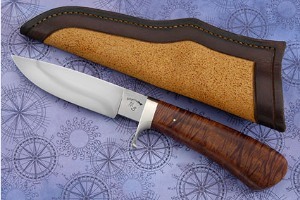 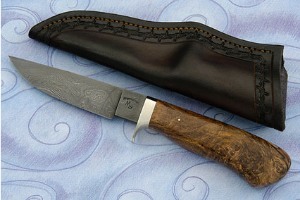 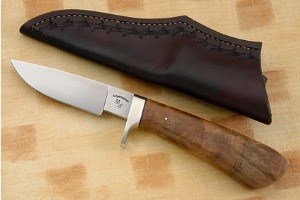 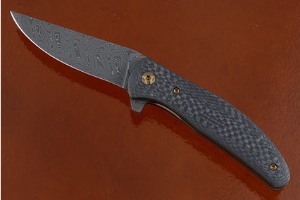 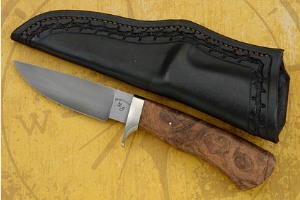 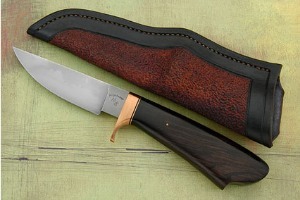 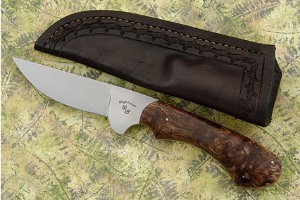 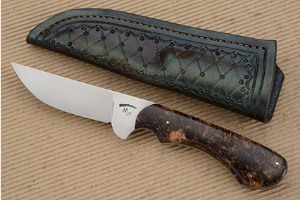 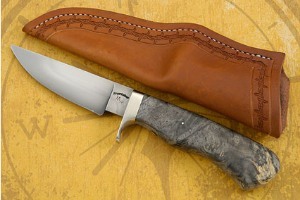 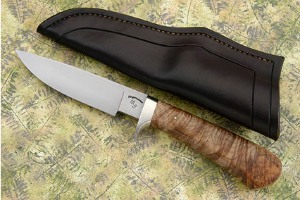 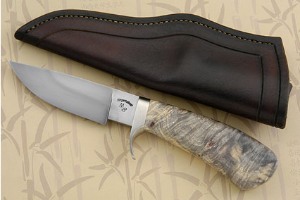 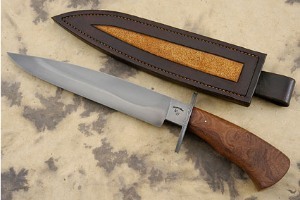 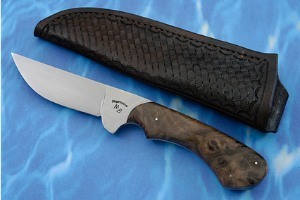 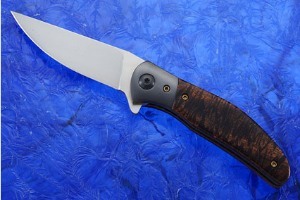 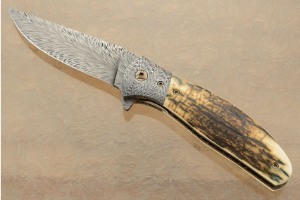 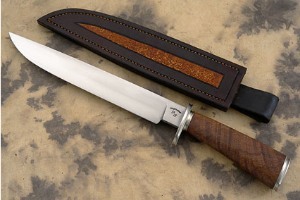 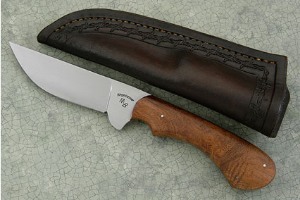 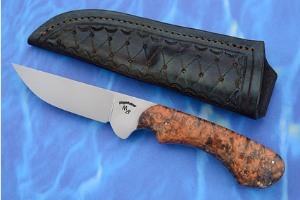 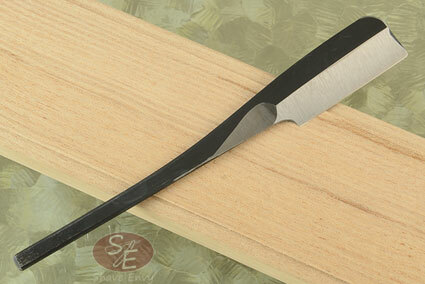 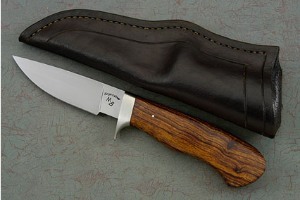 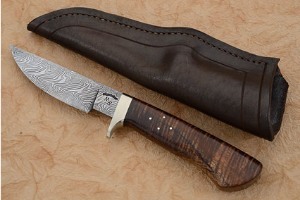 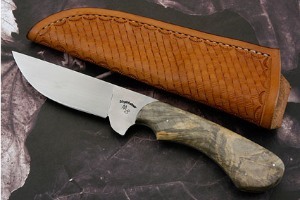 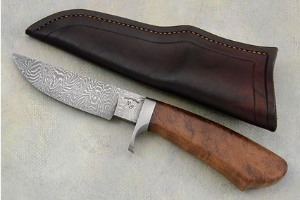 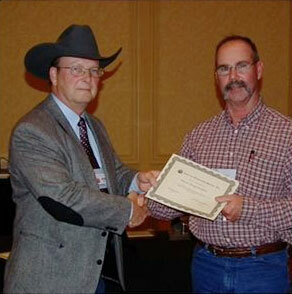 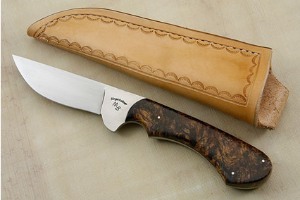 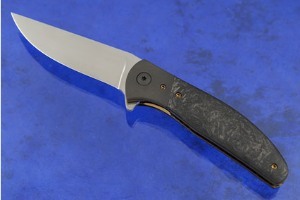 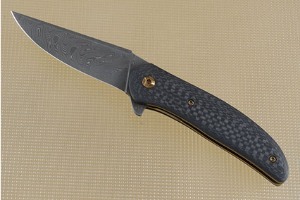 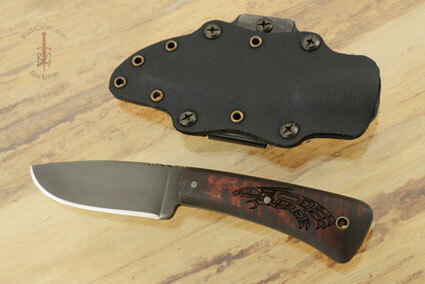 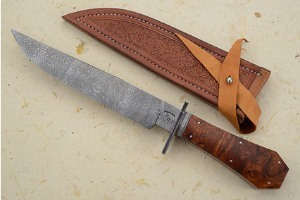 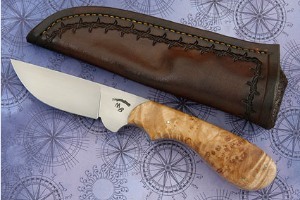 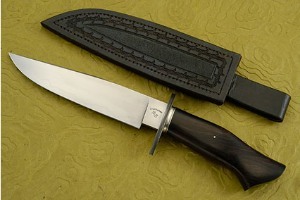 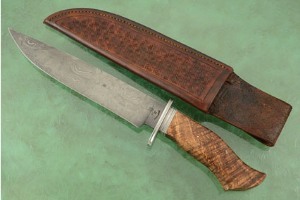 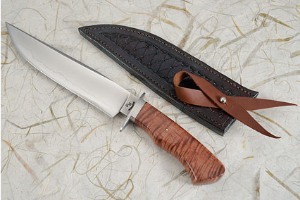 In 2010, Bruce was honored as a Journeyman Smith of the American Bladesmith Society. 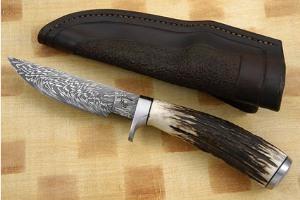 Bing prefers to make hunters and bowies, and is passionate about forging his own damascus steel from 1080 and 15N20 carbon steels. 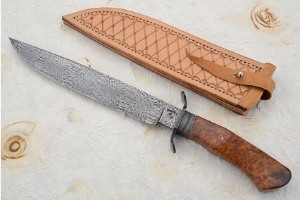 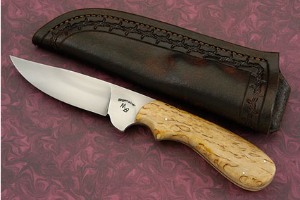 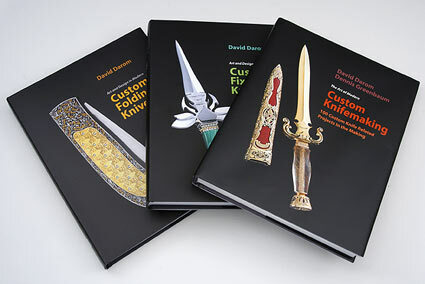 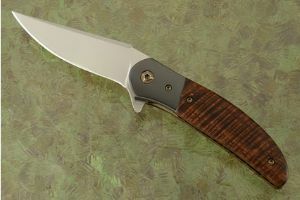 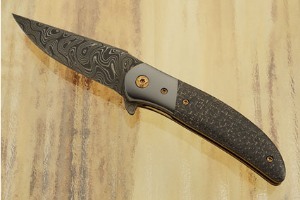 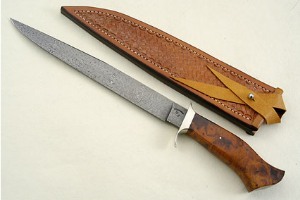 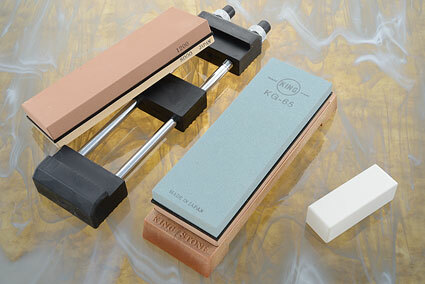 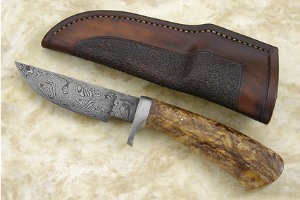 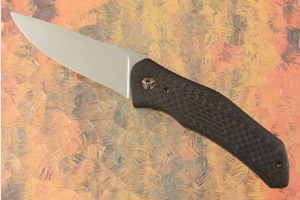 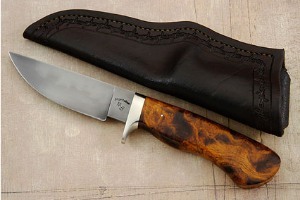 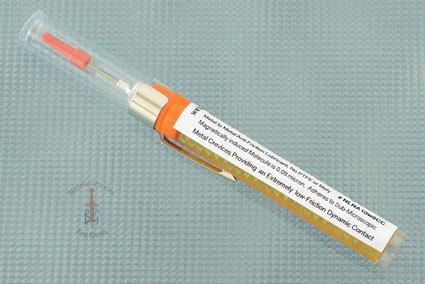 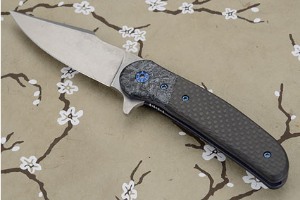 He frequently uses 5160, 1080 and 52100 carbon steels for his straight steel knives, and his handle materials include exotic woods and stag. 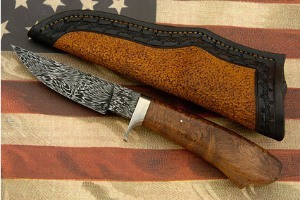 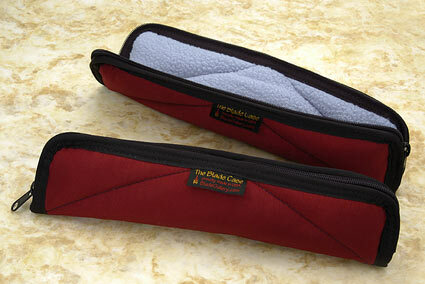 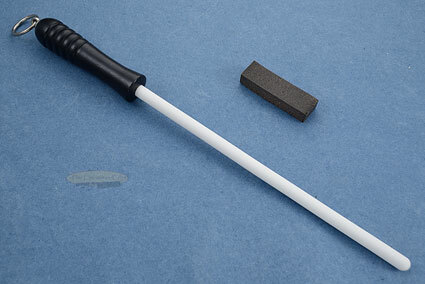 He also makes his own sheaths and does all his own heat treating. 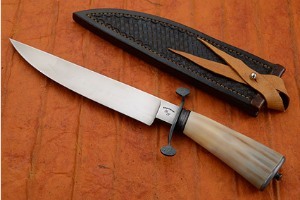 Bing continues to refine his knives, learning and mastering new techniques, and continuing his bladesmithing journey to wherever the road takes him.